­ during which there is nothing to do. 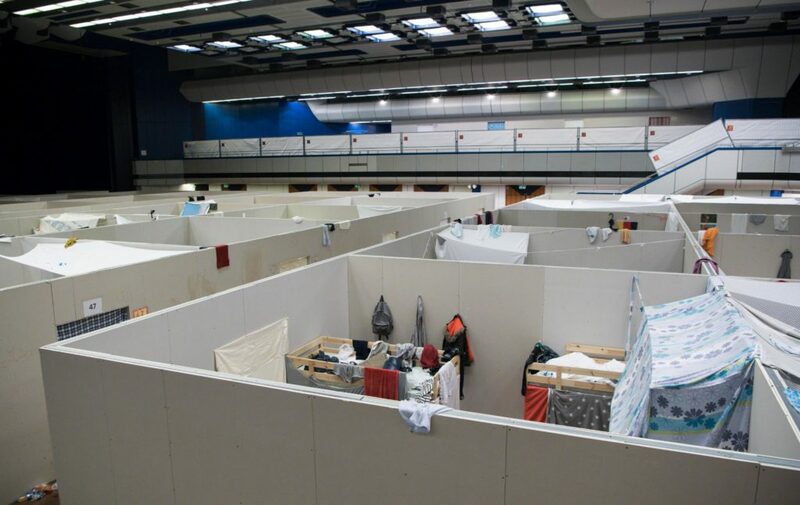 ­ a former congress center that has recently been turned into a refugee camp. Even with the circumstances being unfavourable, the atmosphere at the ICC is quite the opposite: The interaction between the refugees and the staff and security is remarkably free and friendly. Volunteers playing with children; refugees and security joking around and everybody is eating at the same table. There is no hint of the provider/receiver­dilemma that you would witness in other establishments. We’ve been warmly welcomed by the people and the relationships have gradually grown more personal since our first visit. Research – Should you better use the main entrance or the back door?